We are residential specialists aimed at providing service with a relationship. We will treat your home like it is our own. Today prompt, reliable service still resonates. With over 20 years experience in the HVAC field, we have a team that will provide honest quotes and service that exceeds expectations. We survive on referrals and we aim to get yours. You will see our vans throughout Central Pennsylvania concentrating on the areas of Red Lion, Dallastown, Shrewsbury, Stewartstown, New Freedom, Glen Rock, and York. You may hear our name as CMC or Chambers Mechanical. 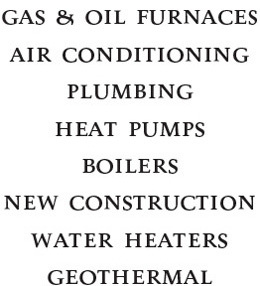 Our service areas of expertise include air-conditioning, cooling, heating, and plumbing. All of these areas include replace, install, & maintenance programs.